iscootpb – iscootpalmbeach… since way back in 2011.
iscootpalmbeach… since way back in 2011.
wE MAY PASS THIS WAY AGAIN. THERE IS NOTHING COOLER THAN A SCOOTER (NOTE: THIS IS NOT TRUE). 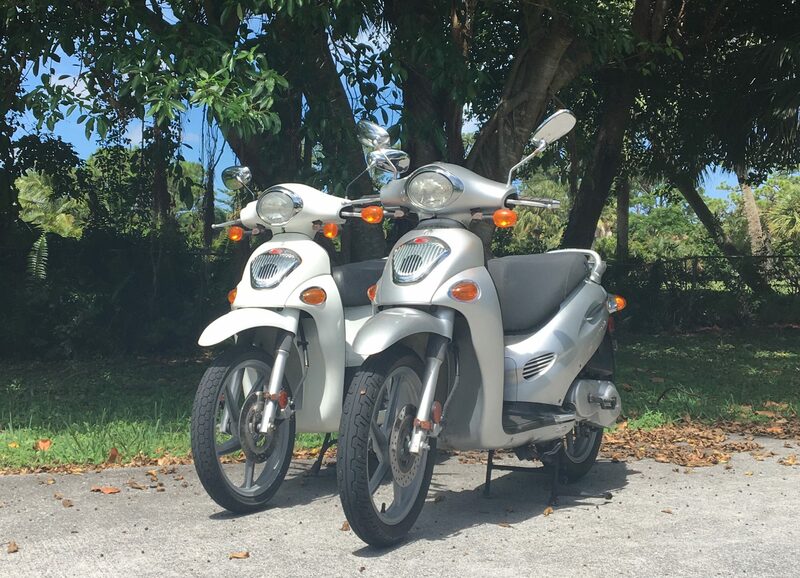 Scooters are lighter to push around than motorcycles; scooters (not those little 50cc scooters but everything else) are as fast as most motorcycles to around 35mph; they top out at around 55 (plenty fast for everything except I95 and the Turnpike); they are much easier to maneuver; easier and more relaxing to ride; not hated … Continue reading THERE IS NOTHING COOLER THAN A SCOOTER (NOTE: THIS IS NOT TRUE). Find your way to the Intracoastal then South for a little bit before turning East to go over the Blue Heron Bridge (at the top, immediately South is Peanut Island and the sandbar to the North of the Island is where 1/2 of the local population beach their boats on weekends and drink) to Singer … Continue reading Go North! We suggest a ride over one of the 3 local bridges to Palm Beach Island...then North to the end of the island where there is a pocket park on the Palm Beach Inlet...then South past the Breakers Hotel, past the public beach, past Mar-a-Lago (where the Secret Service are ready to throw you out....tell them … Continue reading East Along The Water.